Gay? Good at Keeping Secrets? Have We Got a Job for You! 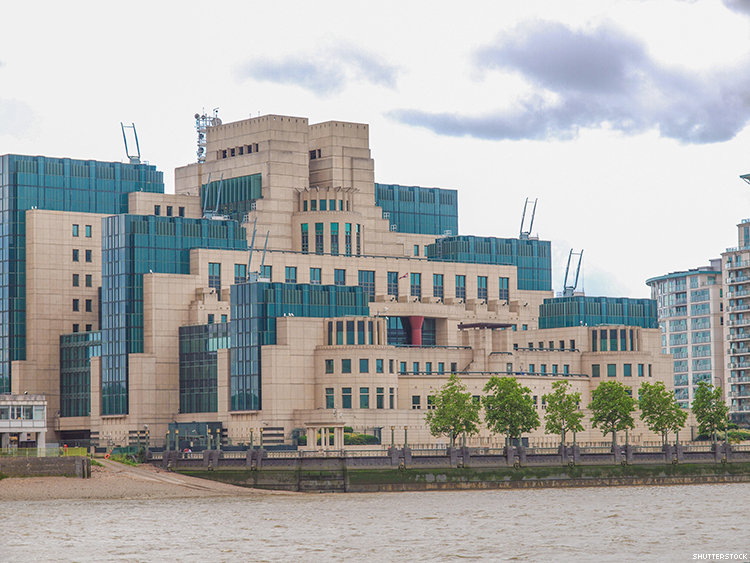 James Bond fans will recognize the headquarters of the British secret service, which was named employer of the year by the U.K.'s leading LGBT nonprofit. Britain’s leading activist group for lesbian, gay, bisexual, and trans equality today named MI5, the United Kingdom’s domestic intelligence agency, as the number 1 employer for LGBT people in all of the U.K.
Coming in second in Stonewall’s Top 100 Employers list for 2016 was Lloyds Banking Group, known colloquially as Lloyds of London. Rounding out the top five were the National Assembly for Wales and the attorneys at Pinsent Masons. MI5 beat out more than 400 organizations, companies, and government agencies and moved up from seventh place in 2015. Employers submit evidence of their performance to Stonewall, and this was the highest number of participants in the annual survey's history. The 10 factors on which employers are rated include staff engagement, training, career development, and job satisfaction. At the same time, employees rate each employer in an anonymous survey, and more than 60,000 people participated this year, Time magazine reports. The staff survey revealed that 67 percent of lesbian, gay, and bi employees who are out at work experience greater job satisfaction and have a higher sense of achievement than those who are closeted, and that just 42 percent of transgender respondents reported that their senior leaders were demonstrably committed to trans equality in the workplace. Merely 27 percent of lesbian, gay, and bi employees said they felt comfortable disclosing their sexual orientation to all colleagues and customers. Fewer than 24 percent of lesbians reported feeling comfortable outing themselves, while 33 percent of gay men did, and just 12 percent of bisexual individuals.